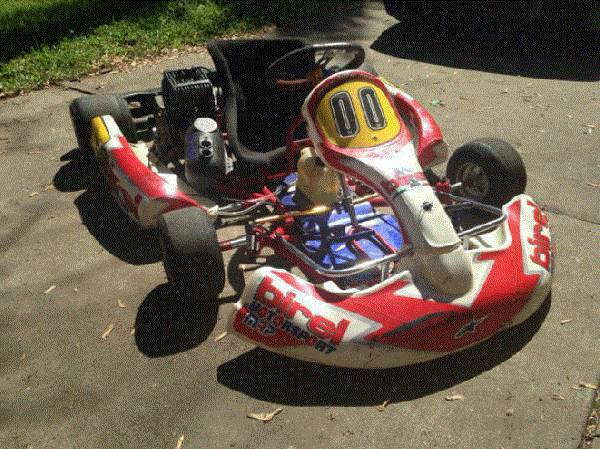 Birel CQ31 SP racing kart with KT100 engine. Runs good, just dont have time to drive anymore. What you see is what goes with kart. Not for the faint of heart, speed depends on gearing 1 mph to 85 mph. Not here to play 100 questions. Frame has never been welded or painted on. Prefer local pickup, will ship if buyer arranges.